Throughout the academic year, CAPS sponsors many interesting events, workshops and programs. Whether it's "Send Suicide Packing" on "World Suicide Prevention Day" or surveying your mood on "National Depression Day," CAPS is available to add insight, support and awareness. Wanting to add a little fur to the mixture? 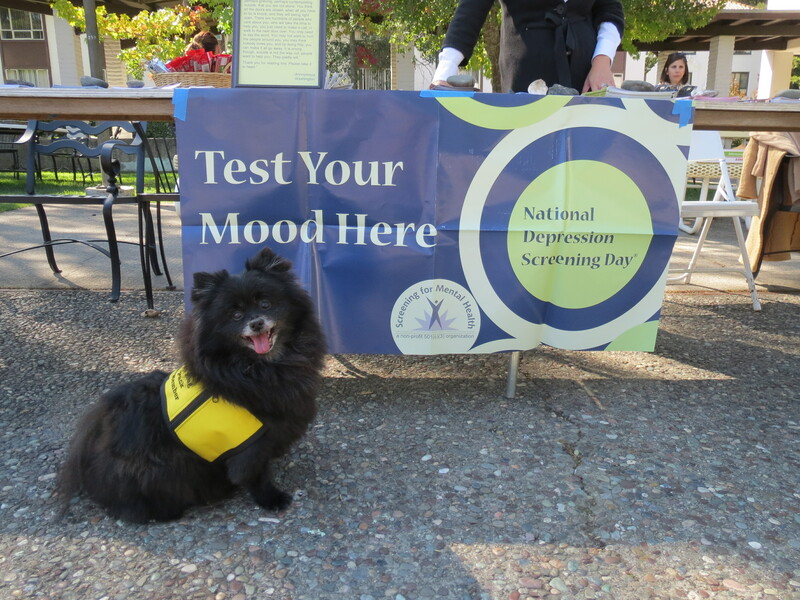 … CAPS also sponsors Pet Therapy on campus. Be on the lookout for our four legged furry friends in their bright yellow "Pet Hug Pack" therapy vests. CAPS staff are happy to visit classes, residence halls, and student organizations to talk about our services and offer requested programming on topics such as stress managment and adjusting to college. Please contact Cynthia Cutshall, Ph.D. at X8328 or cac13 if you'd like to request an outreach program.